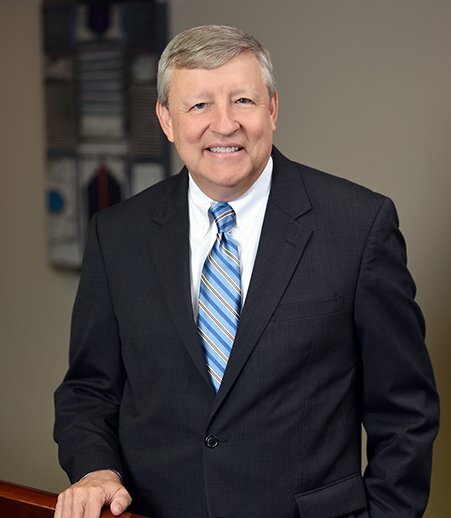 Drawing on decades of experience in commercial and government litigation, Erwin (Erv) Switzer has deep knowledge of areas of law including consumer protection issues, governmental regulatory affairs and the appeals process. As the firm’s general counsel, he also advises on legal ethics on behalf of the firm and for outside clients. For 11 years, Erv served as chief counsel in the Office of the Missouri Attorney General. There, he led litigation on matters including the Merchandising Practices Act, Telephone Consumer Protection Act, trade and securities regulations, antitrust compliance, civil rights, First Amendment law and taxation in state and federal trial and appellate courts throughout Missouri. He was involved in dozens of high-profile matters, including the relocation of the Rams to St. Louis, representation of the Missouri Commissioner of Securities and Secretary of State, and litigation resulting in a ban against the sale of ephedra products in Missouri. Erv frequently represents businesses facing consumer protection class action claims related to pricing and disclosure issues. In addition to handling the litigation aspect of such complaints, he guides clients through a proactive approach of reviewing consumer sales forms to make sure they comply with regulations, lessening the risk of future liability. With his prosecutorial and government experience, Erv is well-positioned to conduct special investigations or serve as independent counsel, monitor or special committee member. He was appointed by the Federal Trade Commission to serve as a monitor and administrator of a consent decree in an antitrust case, giving the federal agency an experienced independent monitor for the matter at more affordable Midwest rates. Erv has also handled matters involving defense of attorney general investigations, student lending practices, deceptive advertising claims, Internet domain names and drafting legislation. He is co-chair of Greensfelder’s appellate practice section and has briefed and argued dozens of appellate cases in state and federal courts, making him a knowledgeable resource for clients seeking new counsel or a second opinion during an appeal. Erv has significant community and leadership experience and has made mentorship of younger colleagues a priority throughout his career. Represents clients in class actions involving pricing issues or disclosure issues. Represents clients in licensing and investigation matters before various government agencies, including the Attorney General’s Office, Department of Insurance, Financial Institutions & Professional Registration and the Department of Social Services. Defends and prosecutes false advertising claims, including on behalf of a large retail chain. For the state of Missouri, prosecuted a consumer fraud case against the operator of a purported charity, obtaining judgment of guilty of all counts. For the state of Missouri, prosecuted the Second Injury Fund civil RICO suit, leading to recovery of more than $1 million and referenced in the St. Louis Post-Dispatch as one of its 125 most important stories in its 125-year history. Interview with Erv Switzer, "Law Firm GCs Grapple With #MeToo, Cybersecurity and Social Media"
"A Template for In-House Cyber-Security Training"
"Sports & Law: A Game of Rules – Implications for Legal Ethics"
"Preventing Lawsuits and Violations in Advertising and Promotions"
"How to Respond to a Government Investigation"
"Antitrust and the Roberts' Supreme Court"
"What Can the Court Do? Evaluating Your Appeal"
"How to Respond to Government Investigations"
“Top Court Opinions of the Year"
“The Success of the Missouri Model: Aggressive Litigation at the State Level Protects Consumers and Prevents Unfair Trade Practices"
"Those Impacted by 2008 Legislation May Have to Act Quickly to Mount a Challenge"
"Car Dealer Alert: Lawyers Suing Car Dealers Over Document Preparation Fees"